We are instrumental in manufacturing, exporting and supplying of Magnetic Coolant Cleaners. 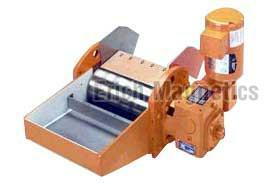 The Magnetic Coolant Cleaners we deal in are appreciated by various industry experts, owing to the excellent features. We make sure that the Magnetic Coolant Cleaners meet the customers’ satisfaction level thus we use cutting edge technology and optimum raw material. We have excellent logistics facilities available for timely delivery of Magnetic Coolant Cleaners.